Having a mobile-friendly website is a critical part of your online presence. In many countries, smartphone traffic now exceeds desktop traffic. 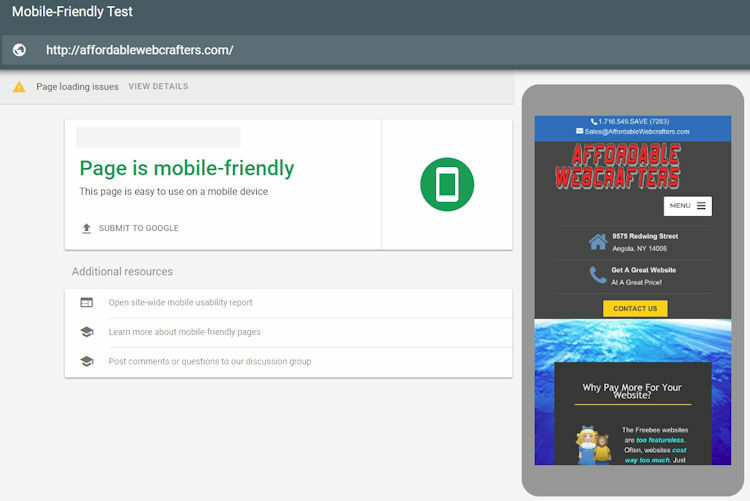 If you haven’t made your website mobile-friendly, you should. Search Google’s Console Mobile-Friendly Test Tool is a quick, easy way to test whether a page on your site is mobile-friendly.